Note: This is a review of the matinee on Saturday 29th July 2017. This was my first encounter with the work of Lucy Kirkwood, having missed her widely praised Chimerica. Sadly for me this new play did not live up to that reported promise. Kirkwood presents a rather wearily cliched and overloaded tale of familial disfunction. There are two sisters whose lives are in different ways collapsing – with the addition of the familiar device of one sister Alice (Olivia Williams) starting the play under the delusion she has things far more under control than her badly messed up sibling Jenny (Olivia Colman). Then there's Alice's unhappy teenage son Luke (Joseph Quinn), the sisters' mother (Amanda Boxer) suffering from both incontinence (showing this on stage seems to be in vogue at the National these days) and dementia, Alice's new partner Henri (Yoli Fuller), a recovering alcoholic (he's also black making an inter-racial relationship which I'm afraid came across as contrived) and a mysterious character named in the programme, though not I think in the spoken text, as The Bosun (Paul Hilton) who may be Alice's mentally ill ex-husband. There are a number of problems with all of this. There are far too many plots struggling for stage time. And this is before you add in Jenny's dead child and her role in that death, Luke hacking into and apparently bringing down the Large Hadron Collider (a crime for which Jenny is then arrested, and which the authorities at the LHC then apparently decide is a technical fault – there is also the frankly baffling question as to how on earth the pair of them get inside the facility in the first place), Jenny attempting to sleep with Henri and then trying to commit suicide and so on and wearily so on. As with the Old Vic's Girl from the North Country, Kirkwood misses that less is nearly always more powerful. More seriously, Kirkwood rarely succeeded in making these characters convincing as individuals – they remain too much types seen before. On top of this Kirkwood layers one of the more laboured metaphors for familial disfunction that I've recently seen. In this case – physics. Alice is, allegedly, a physicist at the LHC in Geneva. As an aside Kirkwood underwrites this side of Alice's character, part of what seemed to me a wider simplification of the physics involved, as if Kirkwood doesn't sufficiently trust the intelligence of the audience. The analogy is weak enough in itself - lots of particles floating around and banging into each other rather like all these family members floating around and banging into each other, with the reasons for these things in neither case properly understood. But then Kirkwood has to add the explanation that these particles banging into each other are like mosquitoes (crow-barring in the title). Finally, in the second half, there's an infuriating moment when she throws in a third metaphor – of what the employees of the LHC should do in the event of an armed attack on the facility. Some have clearly found all this very clever, I found it obvious and overdone. Kirkwood also includes some tiresome lectures delivered by The Bosun – in theory these include explaining five ways in which the world might end – the what is clear enough here, but the why isn't – another case where Kirkwood's treatment of the physics seemed to me to lack depth. Oh, and there's an irritating flash forward to thousands of years in the future – as the play struggles from that familiar problem of new work, not knowing how to finish. That flash forward rather unfortunately calls to mind the far more effective scene in heaven in Angels in America currently playing in the Lyttelton. I was also pretty annoyed by Kirkwood's cheap and lazy jibe at the Quakers (I happen to be one). Like the tiresome Trump joke it struck me as a writer looking for an easy laugh and in the Quaker case having not actually bothered to discover whether her lines were accurate. Actually, Quakers do have a book, it's called Quaker Faith and Practice. And it is simplistic to suggest that all Quakers do is sit and wait – that's a start, but it's much more complicated - rather like, I have a sneaking suspicion, the physics in this show). The staging, by Rufus Norris, assisted by Katrina Lindsay (designer), Paul Arditti (sound), Paule Constable (lighting) and Finn Ross/Ian William Galloway (video designs) is slick, but, again, not as clever as others seem to think. Paul Arditti achieves the greatest coup with sound making one physically shake – but after the first deployment it achieves diminishing returns. The video designs in the context of this subject I'm afraid caused my mind to go back to The Curious Incident which integrated that element much more strongly into a far more powerful play. Rufus Norris strives for those moments of electricity in physical movement and touch, but I'm afraid I couldn't quite lose the sense of effort – he doesn't find that effortless power that, for example, Marianne Elliott so often brings to her work (including for example in The Curious Incident). The performers do their best with the material. I was not as wild about Olivia Colman as some – this was my first encounter – but she did more than most to make me believe in Jenny as a unique individual person – and when she describes the circumstances of the death of her child I was moved. I'd really like to see Joseph Quinn in a better written part – I was close to the stage and there were several occasions when I was subjected to what felt like a piercing gaze from him – there's definite, compelling power there not shown to best advantage by the play. I got increasingly irritated with the text Paul Hilton is obliged to deliver but it was only in writing this that I realised I had previously seen him give a strong performance in the very different part of Peter Pan in the Olivier. He is evidently an actor of talent, again let down by the material. I can see this might finally earn Norris's National a West End transfer on the basis of Colman's star quality and Kirkwood's reputation from Chimerica. But if it does earn one, it will be undeserved. If you're a Colman fan you may want to seek a ticket, otherwise this is pretty missable. 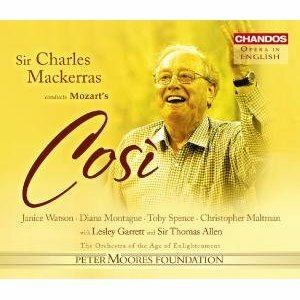 Read our tribute to the late great conductor Charles Mackerras. "Blog on the (trumpet) Road"
A Year With My Ears! What Happened To The Ears! Playlist (Become Spirit and Light). Hans Van Manen: Master of…. Below is a list of artistic endeavours to which we have a connection (usually either because friends or relatives are involved). Sometimes the Shameless Plugs tag will appear on reviews, denoting the fact that such a group is being reviewed and hence the potential conflict of interest involved. Venue 40 (Festival Fringe) - Tam has previously been a venue manager there and still helps out. Dr Finn Pollard's first book - The Literary Quest for an American National Character. Buy it on Amazon or read part of it first via Google. Tam used to play the trombone (badly) in the amateur Stockbridge and New Town Community Orchestra, along with various other people who play much better. More electronic music from a relative, this time our cousin Colin. Our friend Andrew Pugsley writes and sings funny songs, accompanying himself on the ukulele. Watch and listen to them here. Our friend Sharon's company offers a range of drama, theatre and literacy workshops including the popular Shakespeare Play in a Day. This is a personal blog giving our views on cultural matters, with a focus on performances we've attended. The views expressed here are our own, except where explicitly stated. We have no official link to Donald Runnicles, or his management, and so it should not be assumed that our opinions coincide with theirs. 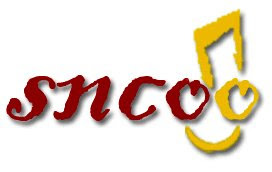 Of course, should the eponymous Maestro Runnicles, or his management, object to our paying tribute to an artist we very much admire, we are happy to rethink the name. You are welcome to quote from our reviews, should you wish. However, please note that all quotes must be attributed and, if on a website, we request you include a link back to the original post. We would also ask that quotes be kept to a reasonable length (e.g. not more than a paragraph or so). All words © 2005-2018 Tam Pollard, Finn Pollard and Andrew Pugsley respectively (except where quoted from elsewhere). All rights reserved. Logo designed by Andrew Pugsley. The underlying mechanics of this website and all the clever things that make it look the way it does belong to Blogger. All words © 2005-2018 Tam Pollard, Finn Pollard and Andrew Pugsley. All rights reserved. Simple theme. Powered by Blogger.